How would you rate your experience with Harkins Theatres ? In 1931, Dwight “Red” Harkins left home in Cincinnati, Ohio, to pursue a career in the “talkies” in Hollywood, California. He ran out of funds in Tempe, Arizona. After working for a few years, he decided to open his own movie house in Tempe, called the Star Theatre in 1933. From these humble beginnings, Harkins Theatres has grown into a large movie chain in the Southwestern portion of the US. The company currently has 34 locations in 5 states, some of these through acquisition. Harkins opened two theatres in California in 2006, later adding two additional locations in 2016 which include the “Harkins Ultimate Lounger”, which provides reclining chairs and reserved seating, as well as a “lobby bar”, which provides beer and wine. The lobby bar has proven to be so successful that the company is expanding the idea to include beer and wine service in most of their Arizona locations. Every summer, Harkins Theatres hosts Summer Movie Fun, which is geared for children. The program features 10 children’s movies from the previous year. Harkins developed the program more than 30 years ago as a way to offer parents an affordable summer activity for children. The company maintains headquarters in Scottsdale, Arizona. Question 1: What is the phone number for Harkins Theatres? 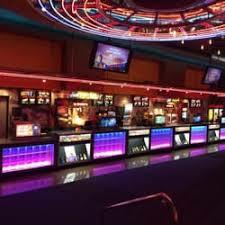 Answer 1: The phone number for Harkins Theatres is (480) 627-7777. Question 2: Who is the CEO of Harkins Theatres? Answer 2: The CEO of Harkins Theatres is Daniel E Harkins. 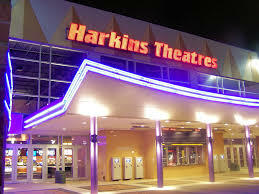 Question 3: Who founded Harkins Theatres? Answer 3: Harkins Theatres was founded by Dwight "Red" Harkins in 1933. Want to make sure Harkins Theatres sees your comment or complaint?